As New York seeks to close a deficit in excess of $3 billion for fiscal year 2019-2020, there are strong indications that the Empire State may turn to sports betting to reduce some of the gap. Addressing lawmakers Tuesday during his annual State of the State speech, Gov. 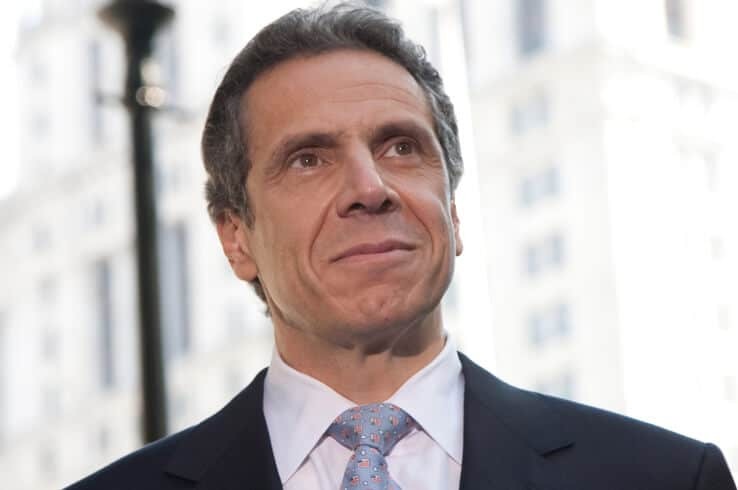 Andrew Cuomo called for sports betting to move forward in four existing Upstate New York commercial casinos. A section in New York’s 2013 Racing, Pari-Mutuel Wagering and Breeding Law authorized the casinos — Tioga Downs in Tioga County, Resorts World Catskills in Sullivan County, Rivers Casino in Schenectady County, and del Lago in Seneca County — to begin accepting sports wagers. The provision had been suspended due to the 26-year federal ban on state-sanctioned sports betting. Last May, the Supreme Court struck down the Professional and Amateur Sports Protection Act of 1992 (PASPA), which restricted sports betting in the majority of U.S. states besides Nevada. “It’s here, it’s a reality, and it will help generate activity in those casinos,” Cuomo said of sports betting. Ahead of the speech, Sen. Joseph Addabbo Jr. (D-District 15) told the Albany Times-Union last month that he expected Gov. Cuomo to adopt a sports gambling initiative in the state budget. 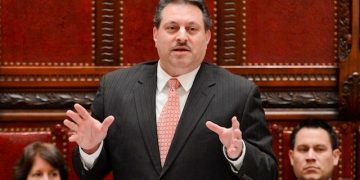 Addabbo, the new chairman of the Senate Racing, Gaming and Wagering Committee, subsequently introduced legislation that mandates state-licensed sportsbooks to purchase official sports betting data from professional sports leagues and/or their third-party providers. The bill also requires casinos to pay a royalty of 0.2% of their handle for the right to access the data, as well as a tax of 8.5% of their gross sports wagering revenue. In the wake of the High Court’s decision, the aforementioned casinos positioned themselves to begin preparing for the launch of sportsbook operations. In July, del Lago announced an agreement with DraftKings on a retail sportsbook partnership at the Waterloo, N.Y. casino. It came weeks after Betfair US entered a partnership with Tioga Downs. Betfair US, a subsidiary of Paddy Power Betfair plc, recently combined its U.S. operations with FanDuel. 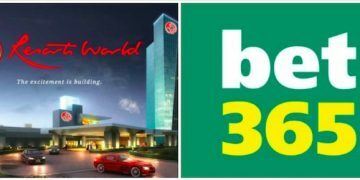 Meanwhile, Rush Street Interactive, the operator of Rivers Casino, signed a deal with Kambi Group plc to integrate Kambi’s sportsbook technology into its online gaming platform in May. Cuomo did not address whether the 2013 law could be amended to allow for a mobile or online sports betting option. According to Section 1367 of the law, an operator shall only accept wagers from bettors “physically present,” in a casino’s sports wagering lounge. When asked about the prospects of mobile sports betting at the four Upstate casinos, a spokesperson from the New York State Gaming Commission declined to comment. Since New Jersey went live with legal sports betting in June, the state’s betting handle for 2018 reached $1.25 billion, resulting in gross gaming revenue of $72.1 million on completed events. Nearly 63% of the betting handle came from online wagers. 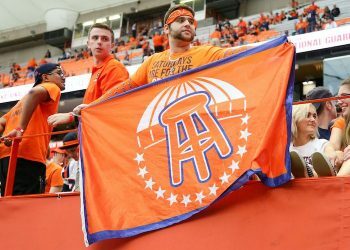 Two companies, DraftKings and FanDuel, estimate that roughly 10% of their customer base is gamblers who reside in New York, the New York Post reported.